Have no fear, country fans, because you still have time to get your Miranda Lambert Bradley Center tickets if you have not done so already. Miranda Lambert will be performing at the Bradley Center on Thursday, April 19th with Chris Young and Jerrod Nieman as a part of her On Fire tour. Ticket King Milwaukee can help you find great seats for this show in the floor sections of the Bradley Center. For those of you who are not well-acquainted with the Miranda Lambert's music, Lambert got her start when she was a finalist on Nashville Star, the American Idol-type reality show for aspiring country musicians. Soon after that, she signed a record deal with Epic Records and began pumping out top 40 hits. Lambert has racked up numerous awards over the years and has started working on a side project called Pistol Annies, which features the vocal stylings of Lambert and two other women. 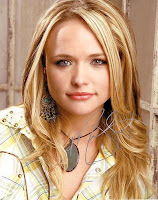 On a side note, Miranda Lambert is married to popular country star Blake Shelton. I wonder if he'll make a surprise appearance during her concert at the Bradley Center!